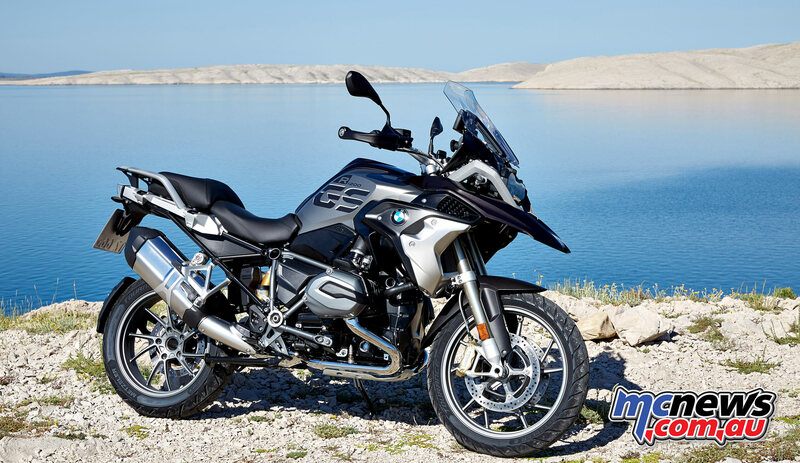 The unique overall concept of the R 1200 GS with its down-to-earth character and high-torque engine has thrilled a large number of motorcycle fans all over the world and remains one of the most popular travel enduro bikes to this day. In 2017 it has now been optimised in a wide range of areas to provide an even better experience. 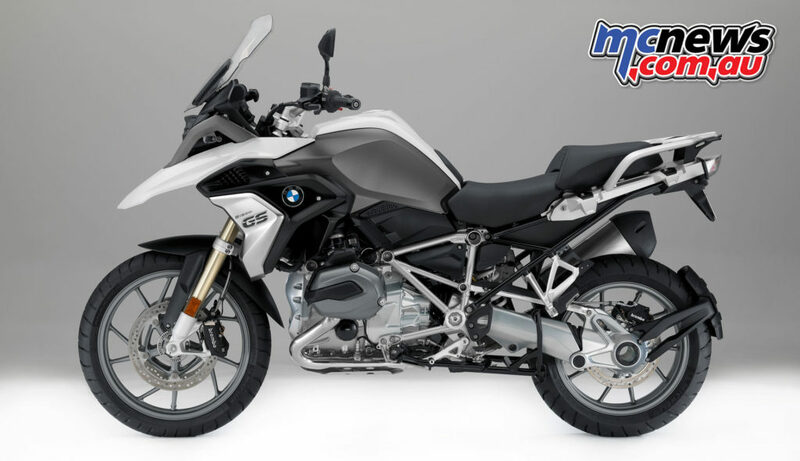 With the new R 1200 GS, BMW Motorrad expands the GS portfolio by further broadening of the motorcycle’s properties, and for the first time customers can give a BMW GS a more marked touch of distinguished style by ordering the Exclusive style package. Designed for even greater versatility than before, it taps into a previously unknown breadth of properties, ranging from dynamic performance to comfort and off-road suitability. This is due to improvements, numerous new features and not least a much-expanded program of optional equipment and optional accessories. While the underlying design architecture of the R 1200 GS has been preserved in the new version, optimised ergonomics in the knee area ensure further improved off-road qualities, while more pointed contrasts, new paint finishes and the two optional equipment packages emphasise the distinctive talents of the R 1200 GS in its differing forms. Details have been optimised on the front mudguard and at the centre of the front wheel cover, while small slipstream deflectors known as winglets add a touch of aerodynamic perfection. The trim of the air intake and the side fuel tank trim panels have been newly designed, too. New styling has now also been applied to the cooling air ducts and radiator trim elements, which either feature a galvanised surface or are made of stainless steel (Exclusive). 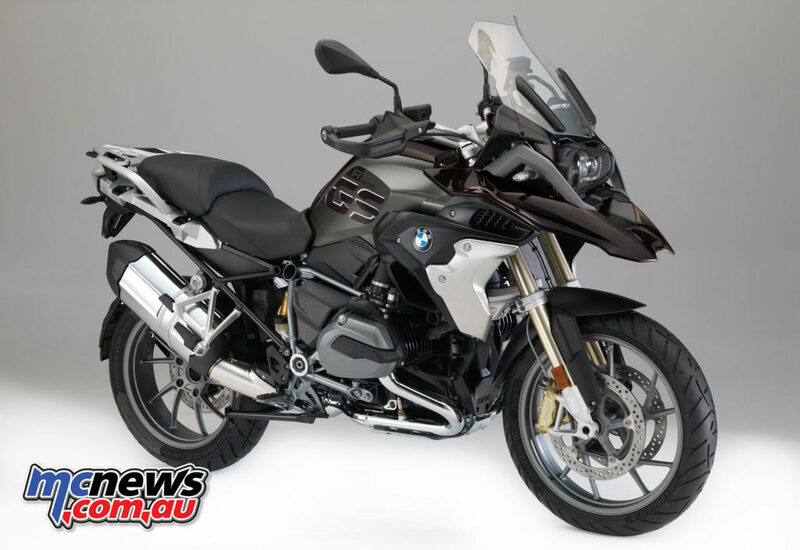 Even in the basic version, the two paint finishes Lightwhite non-metallic and Blackstorm metallic clearly emphasise the fine tuning that has been applied to the body of the new R 1200 GS. The new segmentation of trim parts with the new radiator shroud underscores the bike’s robust character. Meanwhile contrasts are created by the fuel tank side trim panels finished in Magellan Grey metallic matt in conjunction with the drivetrain and main frame in Aluminium Silver. In the Exclusive variant, the new R 1200 GS emphasises its appeal visually with its finish in Iced Chocolate metallic. It is the distinctive motorcycle for those riders who have high expectations of an innovative, technically sophisticated product. 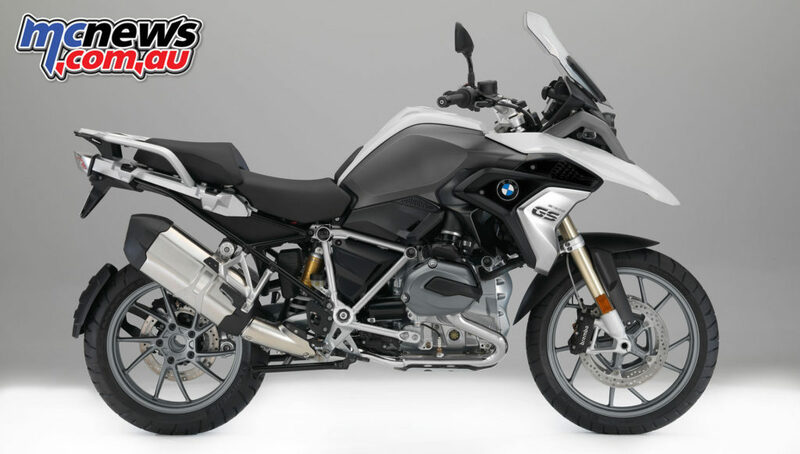 The refined and distinguished appearance of the R 1200 GS Exclusive is underscored by fuel tank side trim panels finished in Monolith metallic matt with clear over-painted tapes and a frame that is powder-coated in Agate Grey metallic matt. 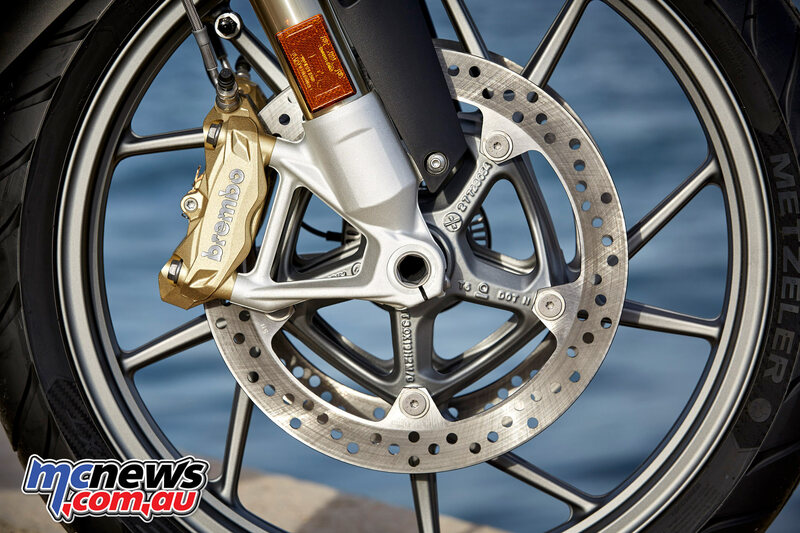 The black drivetrain and the gold-finished brake calipers provide a contrast here. 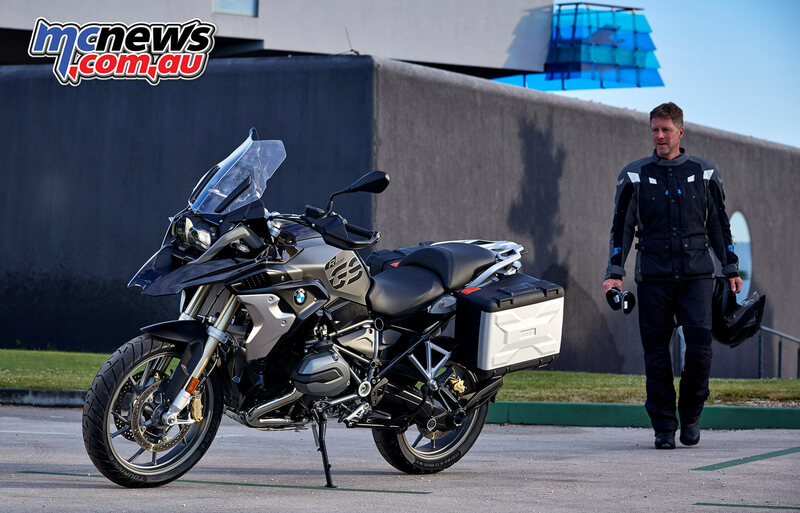 The distinguished appeal of the new R 1200 GS Exclusive can be further enhanced with a selected program of BMW Motorrad optional equipment and Original BMW Motorrad Accessories. 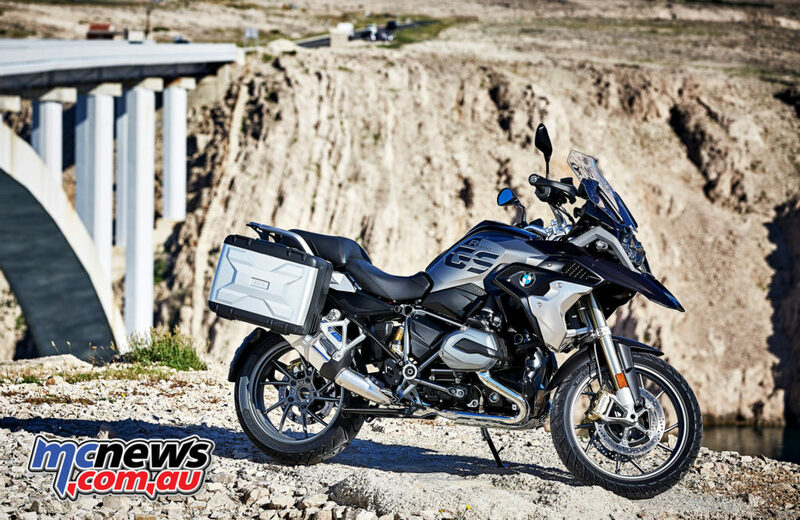 For information on the 2017 BMW R 1200 GS Rallye see here. Dynamic Package comprises DTC, LED headlight, Hill Start Control, Shift Assistant Pro, Riding Modes Pro, ABS Pro, LED turn indicator. Comfort Package comprises chrome exhaust system, heated grips, Tyre Pressure Control RDC, hand protector. Touring Package comprises Dynamic ESA, Keyless Ride, On-Board Computer Pro, preparation for navigation unit, cruise control, case holder. Some optional individual equipment is also available. 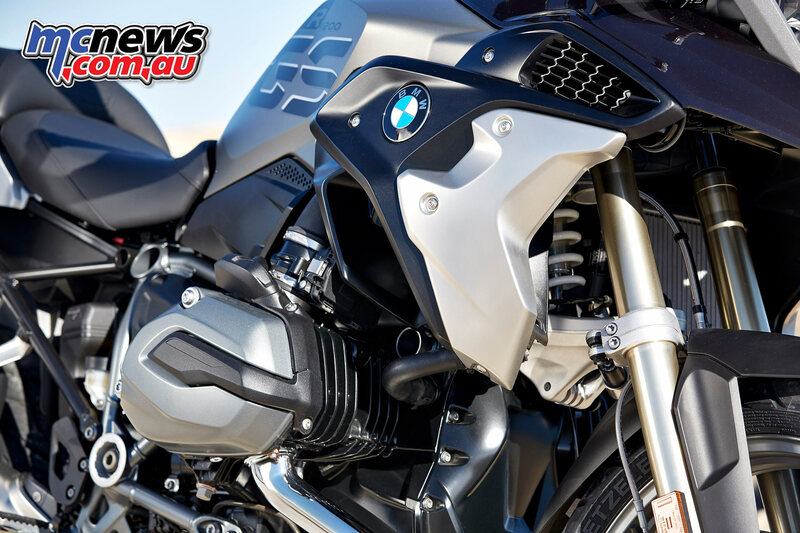 The new edition of the R 1200 GS once again has the distinctive air/liquid- cooled boxer with a capacity of 1170cc, an output of 92kW (125hp) at 7750rpm and a maximum torque of 125Nm at 6500rpm. Key features of this power unit are the precision cooling, the vertical flow through the engine for efficient power yield and the 6-speed gearbox integrated in the engine housing with wet clutch. As before, the secondary drive is maintenance-free via the shaft drive, which is positioned on the left-hand side. 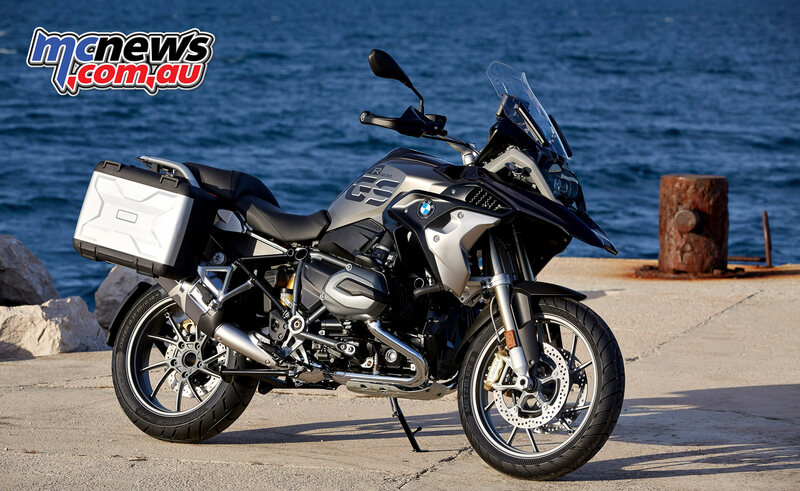 Taking into account the new EU4 regulations, the new R 1200 GS has been fitted with an altered catalytic converter and a new data status for engine management. The judder damper on the transmission output shaft, revised transmission shafts and a modified selector drum actuator are included in the area of power transmission. 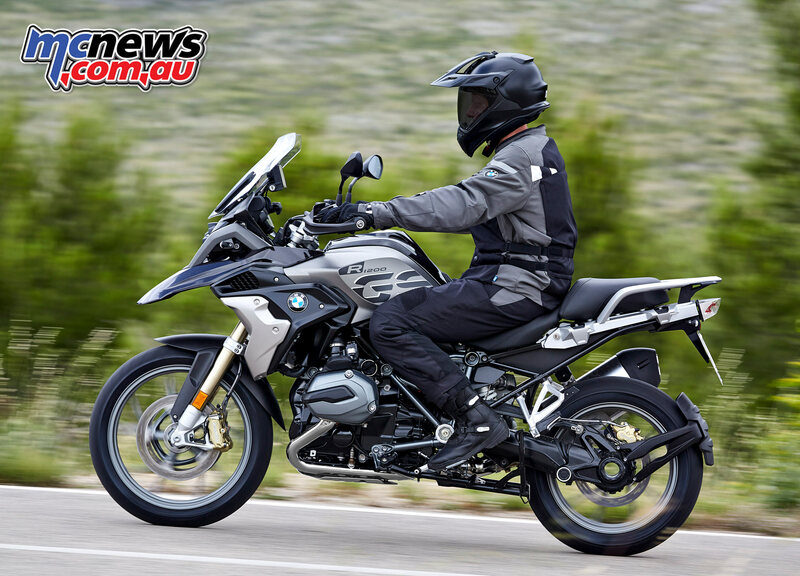 The new R 1200 GS also offers the two riding modes “Rain” and “Road” as standard in conjunction with Automatic Stability Control (ASC) for optimum traction. 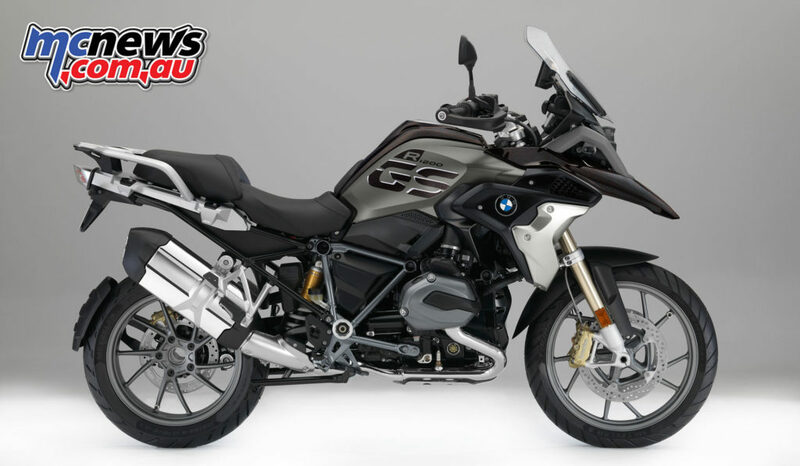 As an optional equipment item ex works, the new R 1200 GS can be fitted with “Riding Modes Pro” featuring the additional riding modes “Dynamic” and “Dynamic Pro”, “Enduro” and “Enduro Pro” as well Dynamic Traction Control (DTC), which enables even more efficient and safe acceleration especially in banking position. The riding modes “Dynamic Pro” and “Enduro Pro”, are activated by means of a coded plug, and also offer customisation options which allow the character of the motorcycle to be adapted. In “Road” mode the engine offers a spontaneous response, while the control systems are set to ensure optimum performance on all roads. ABS set-up is geared towards road use and DTC offers optimum traction. If Dynamic ESA is fitted, the damping at front and rear is adjusted to the normal position. In “Rain” mode, throttle response is gentler and the settings of both DTC and ABS allow for a wet and therefore more slippery road surface. 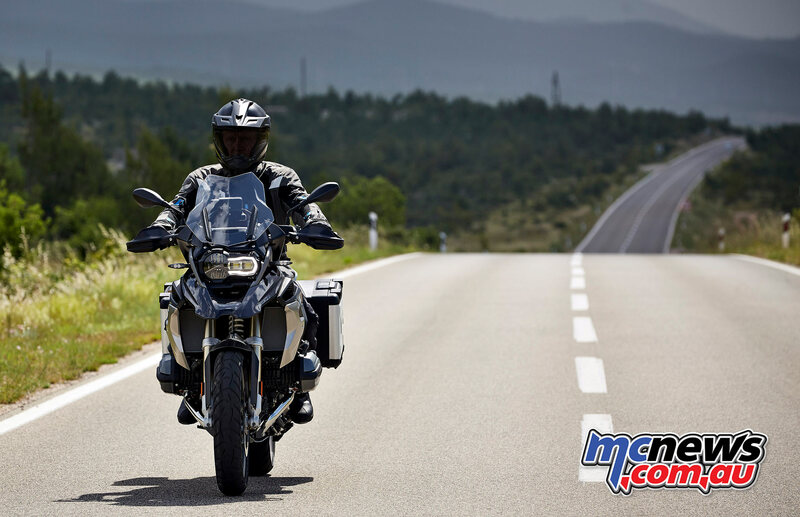 Meanwhile “Dynamic” mode gives the rider a great opportunity to discover the athletic qualities of the new BMW R 1200 GS when it comes to road riding. The engine set-up is for direct throttle response, while a more restrained intervention of DTC even enables experienced riders to perform light drifts. As before ABS Pro is set to road use. If the optional equipment item Dynamic ESA is fitted, tight damping allows the motorcycle’s full potential to be harnessed. 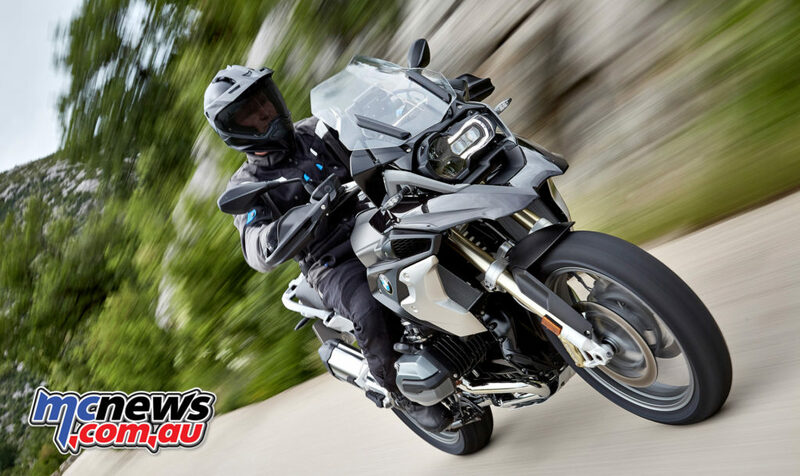 In “Dynamic Pro” mode this sporty character of the new R 1200 GS is further enhanced in that the rider can freely select and combine the characteristics of throttle response and DTC regulation. In “Enduro” mode the R 1200 GS reveals its full range of capabilities in the area of off-road riding. This mode offers a gentle engine response, while restrained DTC intervention allows an experienced rider to achieve deliberate, controlled rear wheel sliding. ABS characteristics are geared towards loose surfaces and road enduro tyres, while the Dynamic ESA set-up is adapted as appropriate to the purpose. Ambitious enduro riders can tap into the full off-road performance of the new R 1200 GS in “Enduro Pro” mode. In this mode the rider can freely select and combine the characteristics of throttle response, DTC regulation and ABS. This mode is designed for use with studded tyres. At the same time, the ABS function is disengaged at the rear when the footbrake lever is activated and the optional Dynamic ESA shifts into a special off-road mode. The riding modes are selected at the press of a button within the menu structure. 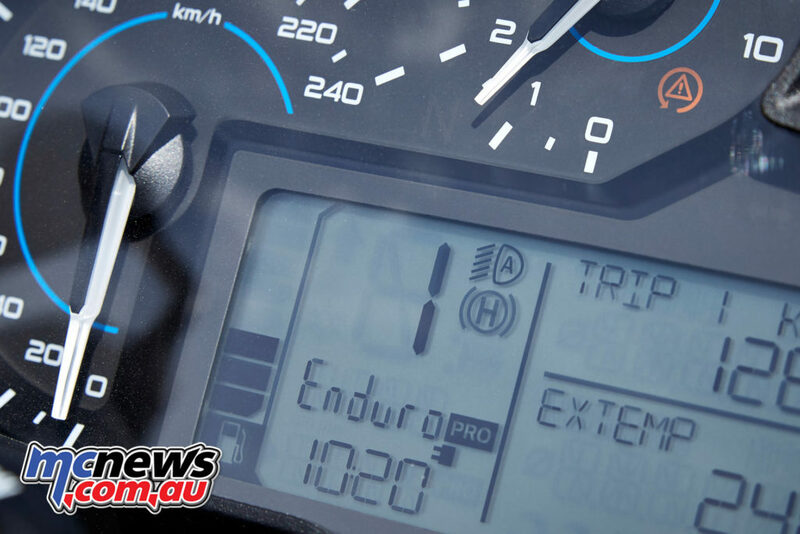 Another element of the optional equipment item “Riding Modes Pro” is the new Hill Start Control function. 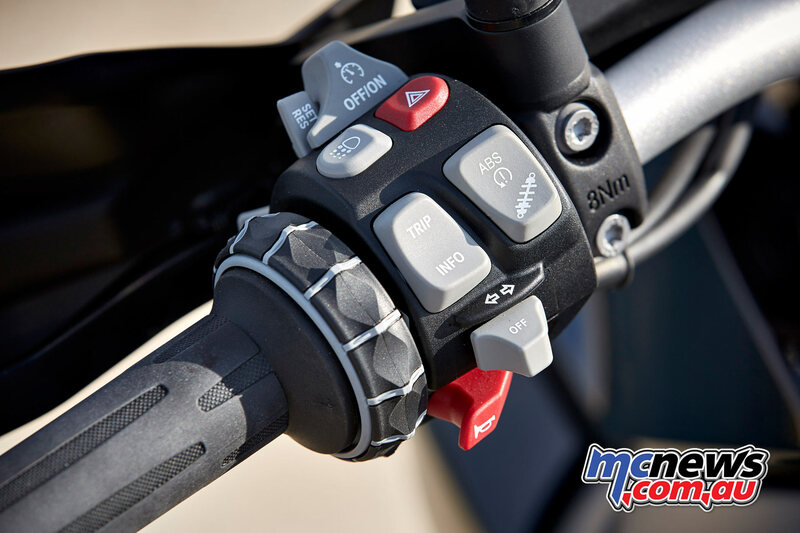 It prevents the motorcycle from rolling back on gradients by means of targeted intervention in the part integral BMW Motorrad ABS – without the rider constantly having to activate the brake lever. When Hill Start Control is activated via the handbrake lever, sufficient pressure is built up in the rear brake system – depending on the gradient – so as to prevent the bike from rolling backwards. Other elements of the optional equipment item “Riding Modes Pro” are the functions ABS Pro and dynamic brake light. The dynamic brake light can effectively signal to road-users behind that the motorcycle is braking. This additional brake light function, currently still limited to the EU and ECE region, warns traffic to the rear at two levels in the event of hard braking and even if an emergency stop is being performed. Level one is activated when the brakes are applied at speeds of up to 50 km/h. Here the brake light flashes at a frequency of 5 Hz. If the motorcycle approaches standstill (< 14 km/h), the second stage comes into effect, involving the additional activation of the hazard warning lights. These remain active until the vehicle accelerates back up to a speed of at least 20 km/h. ABS Pro goes one step further than conventional ABS by offering increased safety when braking on bends in that ABS-supported braking is permitted in banking position. Here, ABS Pro prevents the wheels from locking even when the brakes are applied quickly; this reduces abrupt changes in steering force on shock-braking manoeuvres in particular and stops the motorcycle from rearing up unintentionally. The benefits of ABS Pro to the rider are increased brake and ride stability together with the excellent deceleration on bends. 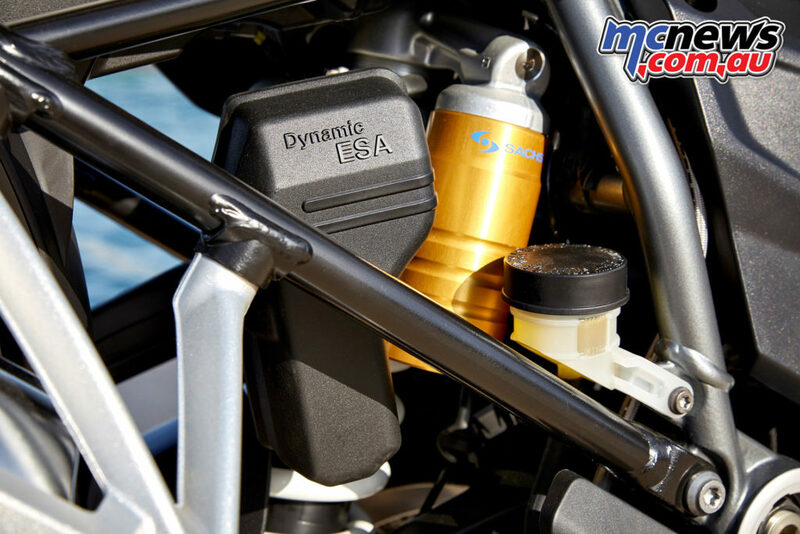 BMW Motorrad Dynamic ESA “Next Generation” as an optional equipment item for an optimum suspension set-up in all situations. The optional BMW Motorrad Dynamic ESA of the latest generation enables further enhancement of the dynamic riding experience, ride comfort and the touring suitability of the new R 1200 GS. Dynamic ESA “Next Generation” opens up a whole new dimension in terms of riding safety, performance and comfort since damping is automatically adjusted to load state and manoeuvre, and there is also a riding position compensation. In terms of the technical background, signals from the rotational speed sensor and the two travel sensors at front and rear enable comprehensive data collection and therefore finely tuned adaptation of the motorcycle to the given situation. In the damper characteristics set-up “Road”, damper adaptation is automatic across the entire riding range, offering maximum comfort and traction on all surfaces. The “Road” setting of the Dynamic ESA “Next Generation” provides optimum damping power at the suspension elements, whatever the riding situation or load. The information transmitted by the rotational speed sensor with banking detection means that damping adaptation to the riding condition is even more finely tuned and precise. Based on additional measured parameters, the new R 1200 GS also detects riding states such as compression, acceleration and deceleration, and these are incorporated in the adaptation of damping forces at the rear spring strut as well as the Telelever front wheel suspension. This adaptation is applied by means of electrically actuated regulation valves within the millisecond range. As a result, optimum damping comfort and a very stable ride response is ensured even in banking position. Dynamic ESA “Next Generation” is pre-set to the “Road” damping characteristics in the standard set-up of the riding modes “Rain”, “Road” and “Dynamic”. 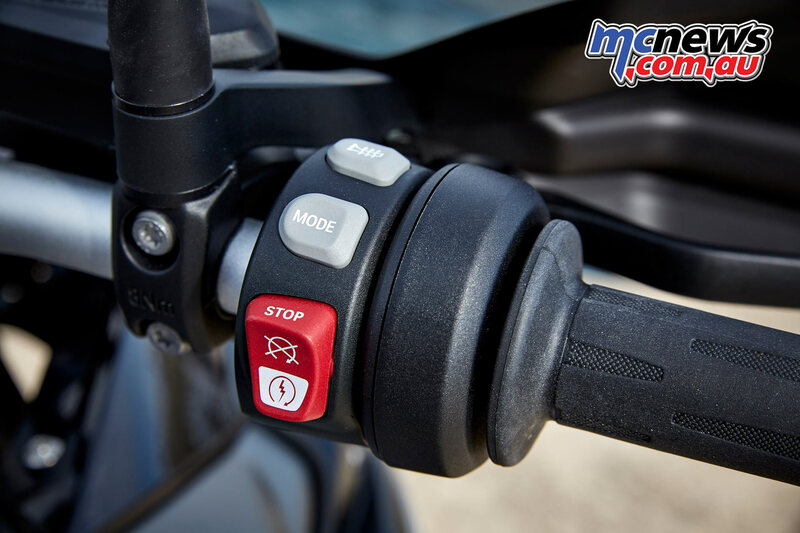 At the press of a button – conveniently positioned on the handlebars so it is even possible during travel – the rider can switch to the damping characteristics “Dynamic”, thereby selecting a tighter damping set-up in the riding modes “Rain” and “Road”. The tighter damping variant “Dynamic” is pre-set in the riding modes “Dynamic” and “Dynamic Pro”. Meanwhile the riding modes “Enduro” and “Enduro Pro” are set to the damper setting “Enduro”, geared towards the anticipated loose surfaces. In developing the suspension, the main focus was on maximum comfort and optimum stability. 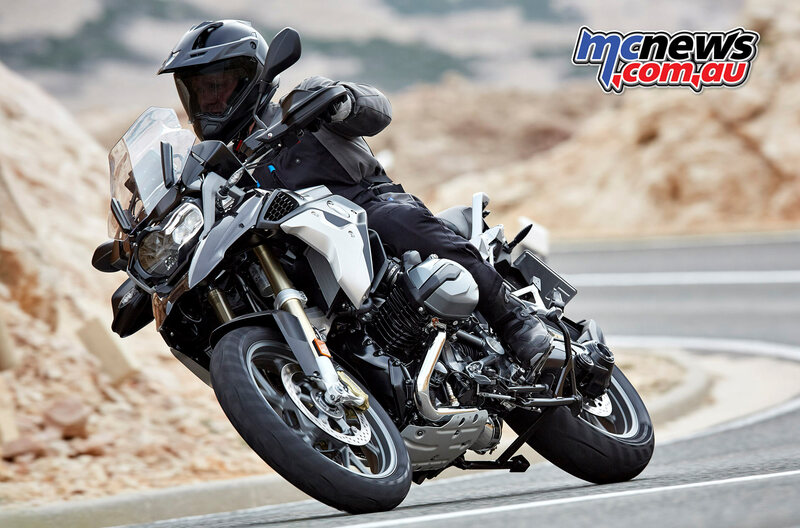 Here, the term comfort refers to the aim of keeping the motorcycle superstructure as even as possible and realising maximum traction (ground contact) with the tyres. The load and the change in geometry this causes have a crucial impact on the motorcycle’s ride response in this connection. Up until now, Dynamic ESA enabled automatic adaptation of damping to the riding situation in relation to the riding mode; the press of a button was required to conveniently set the load state – and with it the so-called suspension setting of the motorcycle – to solo, solo with luggage, and rider with pillion passenger. According to this previous method, however, the spring preload at the rear spring strut was altered in three stages. Dynamic ESA “Next Generation” now goes one step further to achieving an optimum suspension set-up. As with the damping mode “Road”, the new function “Auto” allows automatic adaptation to the load state. Here, the spring rest (“spring preload”) is set across the entire range so that any lowering of the motorcycle resulting from increased rider weight, for example, is compensated for by raising the spring rest (“more spring preload”). This adaptation is applied once the change in load has been detected after the motorcycle has set off. The negative spring travel at the rear and therefore the riding position are thus returned to the optimum level. This leads to an excellently balanced suspension which sets the benchmark in terms of ride comfort, traction and riding dynamics. While the normal position function “Auto” automatically provides the ideal riding position and therefore optimum ride response for all the relevant load states, the rider can also apply two other very useful functions relevant to the universal range of application of the new R 1200 GS called “Min” and “Max”. “Min” reduces the “spring preload” to a minimum by lowering the spring rest, thereby enabling a reduction of the seat height. Meanwhile the setting “Max” raises the spring rest as far as possible, thereby providing the greatest possible “spring preload”. 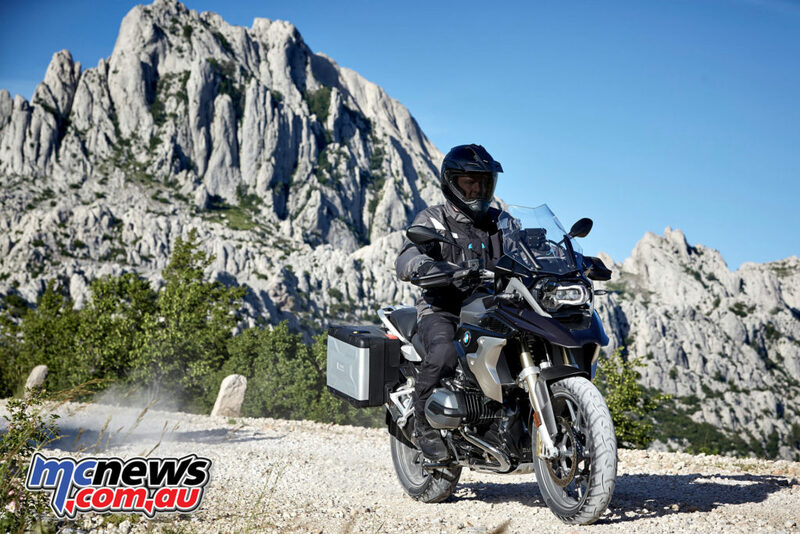 The resulting high riding position especially benefits the rider of the new R 1200 GS off-road, when maximum ground clearance is required.